Clint continued his playing career in the minors during the 1992/93 season with the San Diego Gulls of the International Hockey League (IHL) taking them into the Championship series. The following season (1993/94) he moved on to play with the Las Vegas Thunder where he ended his playing career on a high note with an impressive record of 34-10-7. He was recognized as one of the best goalies outside of the NHL. His number was retired by the Thunder and his jersey was hoisted to the rafters of the Thomas and Mack Centre. On the occasion of his retirement and hoisting of his jersey in 1996 the club presented him with a horse. " They open up the Zamboni doors and walked him out on rubber mats. 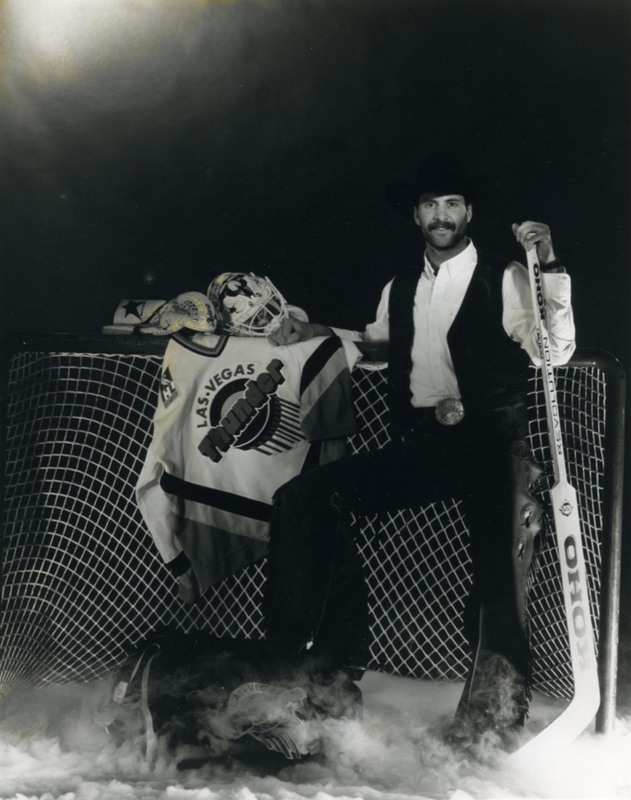 It was pretty cool," recalls Malarchuk, adding that he still has Ace, a buckskin roping horse. The impression one gets from reading Clint’s hockey history is that he was a “natural” for coaching and the transition from player to coach was a smooth one. It helped that the transition took place within the same organization. In a sense his coaching career started in Buffalo where he was mentor and the back up goal tender for Darren Puppa. That would be a very uncomfortable, even impossible, for many goalies as the back up is typically competing for the starting position. That was not the case with Clint - he thrived on helping others – a trait that we shall see provides him with a fundamental reason for “being”. When asked by Neufeld about his coaching philosophy, he recalled “The biggest thing for me when I was a player playing for different coaches - I was insecure. Jacque Demers was a great guy. I wanted to win and would go through a brick wall for him. I felt bad for him when we lost. I tried to coach that way - form a relationship with new players and let them know you care, not just as players but also as people. Find out what’s going on in their lives. I want them to be able to come in and tell me about a bad week they are having. I promised myself as a player: if I ever became a coach, I would never forget what it was like to be a player.” As a coach Clint kept his suitcase packed. 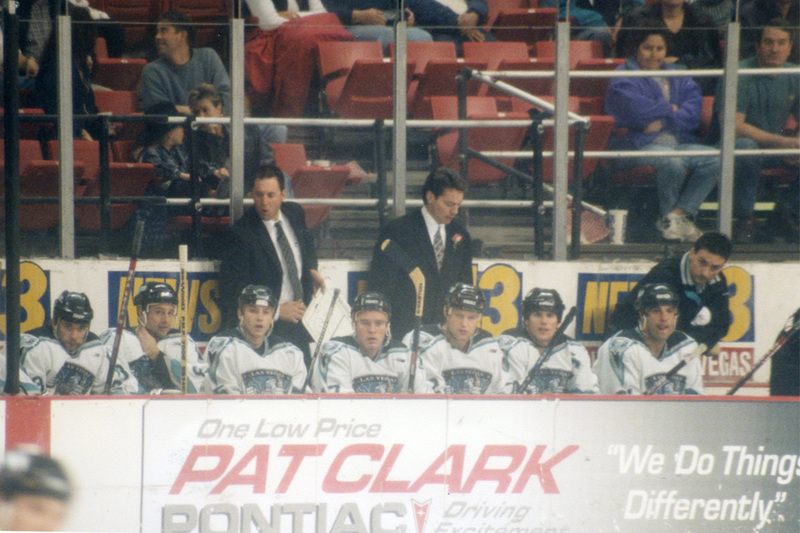 From 1994 until 2014 he coached for six different teams: The Las Vegas Thunder, The Florida Panthers, The Columbus Blue Jackets, the Idaho Steelheads, the Atlanta Thrasher, and the Calgary Flames. For readers who like small world stories about meeting familiar people in unexpected places, one such story stands out from Clint’s experience in Boise, Idaho in 1999. Johnny MacMillan, a GP Hockey legend inducted in 2005 earned two Stanley Cup rings playing with the Toronto Maple Leafs and from 1966 – 1971 was a crowd favourite playing with the San Diego Gulls. In retirement, Johnny lives in Boise, Idaho. In an interview with Neufeld, Johnny reported that in 1999 he attended a promotional event in Boise for the Steelheads. The identity of the team’s new coach had not yet been made public. In confidence the GM told Johnny that the new coach was Clint Malarchuk whereupon Johnny informed the surprised GM he had played hockey with Clint’s Dad. 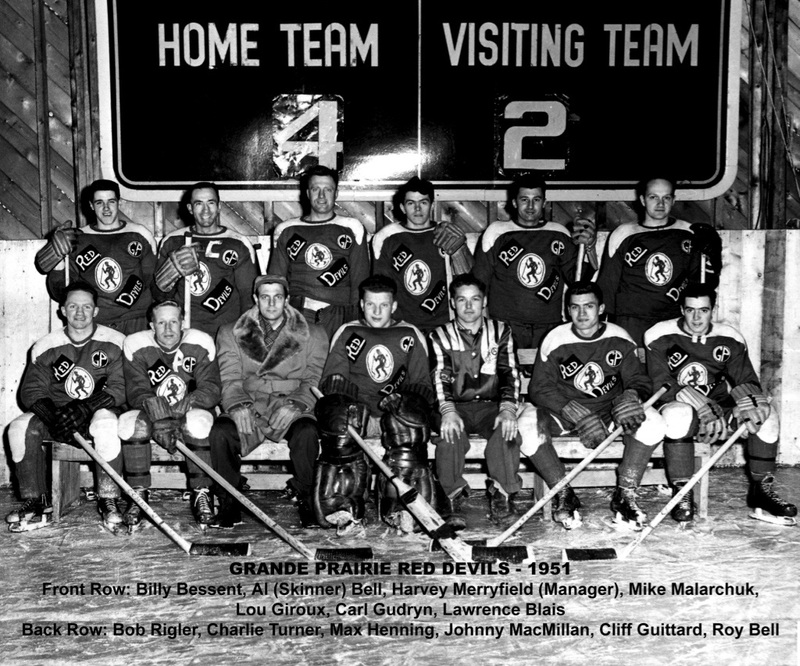 Later, while rifling through old scrapbooks at home, Johnny found an old team photo from Grande Prairie that included Johnny and Mike, Clint’s Dad. Johnny left the photo at the front desk for Clint along with a message asking if he recognized anyone in the photo. Clint reports it was a humbling experience never dreaming that “he would come to Boise and somebody would actually know who he was – and Grande Prairie roots to boot.” (Johnny MacMillan interview with Neufeld) Clint kept in contact with Johnny while he was in Boise. During the 2001/02 season the Steelheads hired Clint as a radio commentator. From time to time MacMillan assisted Clint with colour commentary. In 2002 Clint accepted the position of Goal Tender consultant for the Florida Panthers. In this capacity, he worked with a young Roberto Luongo. Coaching the team was the volatile Mike Keenan. Clint was sympathetic to the pressures that coaches face and when those pressures rippled into the goal crease, he felt it was his responsibility to serve as a buffer between coach and goal tender. The most important event that occurred during Clint’s entire coaching career happened while he was in Florida. During the NHL lockout in the 2004/05 season, Clint was assigned to work with the Panther’s farm team, the San Antonio Rampage of the AHL. At the rink where the Rampage practiced he took particular notice of one skating instructor. “I noticed her immediately,” reported Clint. “ It was impossible not to…. She had the sweetest kindest heart. I had never met a woman like Joanie before. She was just perfect.” (The Crazy Game, p. 150). 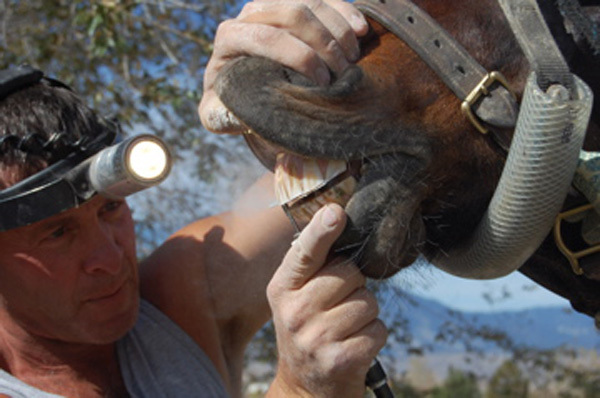 Clint’s marriage proposal reads like a “believe it or not tale.” Joanie was skeptical about Clint’s assertion that he was a horse dentist until the day he took her to his horse barn and asked her to look into the mouth of a horse. As she looked he slipped a ring from the horses tooth, fell to his knees and proposed. A year later they were married. Joanie was indeed perfect for Clint but his mental health was far from perfect. 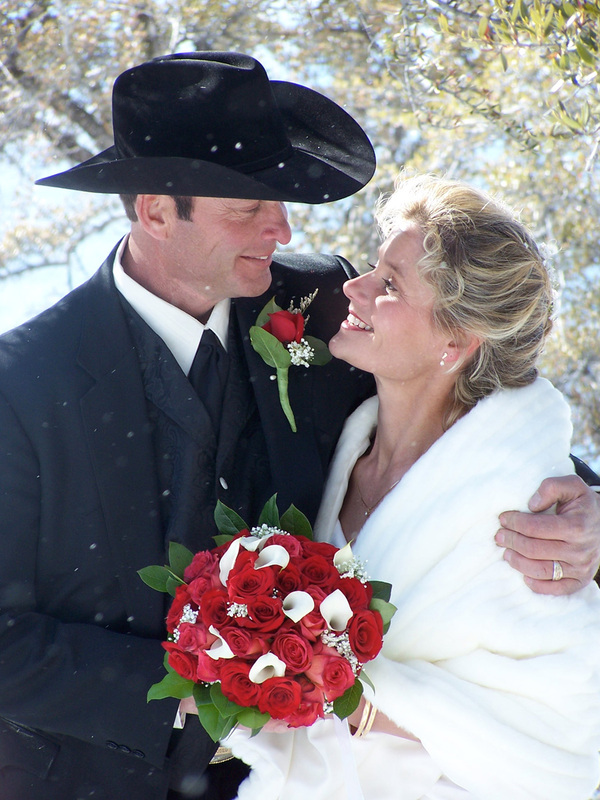 It is a testimony to Joanie’s love and commitment to her husband that their relationship survived the early years of their marriage. Manifestations of his instabilities included paranoia, accusations that Joanie was not in love with him and was unfaithful. He was on medication for obsessive-compulsive disorder that was not working and he felt that drinking settled him down. The medication and drinking was all but a lethal mixture. During this time he moved through several goalie-coaching assignments that included the Columbus Blue Jackets, the Atlanta Thrashers and the Calgary Flames. How he was able to function in these roles considering his erratic and often out-of-control behaviour is a mystery! On two occasions he spent the night in jail. He is fortunate that his fits of anger did not result in more serious convictions. During episodes of anger fuelled by antidepressants and alcohol he would drive to a gym, insult the biggest toughest looking dude in the place, precipitate a fight and then flee to avoid arrest. Joanie and his friends could not persuade him to seek help. His macho, tough, independent spirit was not an ally in these situations. In his misguided opinion he could handle it. It was devastating for Joanie that in the midst of his drunken episodes he would blame her for his behaviour.